Nana Ataa Ofosu-benefo is currently living in South Hill, Virginia, working as a Clinical Dietitian / Independent Distributor in "XanGo" and is interested in Health & Beauty, Internet / IT, Work from Home. Ms. Ofosu-Benefo is currently employed as a Clinical Dietitian for Morrison Management Specialists, Inc at Community Memorial Healthcenter in South Hill, Virginia. In March 2007 she was elected to serve a two-year term as an At-Large Delegate for American Dietetic Associations House of Delegates. Before passing the registration exam for dietitians in July 2006, she moved from New York City to Durham, North Carolina to complete the dietetic internship program at North Carolina Central University, a Historically Black College/University. Although Ms. Ofosu-Benefo is a newly credentialed RD, she is not new to the field of food and nutrition. Her work experience is as diverse as her cross-cultural education and family background. Before making the transition to clinical dietetics from community and public health nutrition, Ms. Ofosu-Benefo worked as the Breastfeeding / Nutritionist Coordinator for the New York Presbyterian Hospital WIC Program in New York City. In this position she supervised the operations of the WIC Programs Breastfeeding Help and Referral Center, spearheaded the development and implementation of strategies for breastfeeding promotion within the Washington Heights / Inwood communities, and served as the programs liaison and resource person for hospital, community, and regional breastfeeding initiatives. 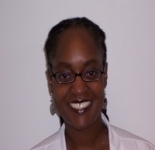 Ms. Ofosu-Benefo offers eighteen years of experience in the fields of nutrition and public health, with a specialty in professional and paraprofessional training. She also specializes in the development and implementation of maternal and child health programs that assist low-income communities both domestically and within developing countries. Her passion for her work and her strong belief that education and training are essential components of improved nutrition and health for all has inspired her to work for free! Ms. Ofosu-Benefo served as a United States Peace Corps Volunteer in The Gambia, West Africa from 2000-2002; since 1997 she continues to volunteer as an Executive Committee member with a small non-profit organization, International Health Profession Network, Inc. Her experiences in community nutrition, public health, and clinical dietetics are supported by a Bachelor of Arts degree in Biology, Black Studies and Pre-Medicine from Oberlin College, Ohio; a Master of Science degree in Nutrition and Public Health from Teachers College, Columbia University, New York; state certification as a dietitian/nutritionist in New York; international certification as a lactation consultant; working knowledge of the Spanish, French, Wolof and Twi languages; and a sincere love of travel as well as the sharing of experiences with people from different countries and different walks of life. This profile is owned by Nana ataa Ofosu-benefo. Send a message to this person to delete this profile.